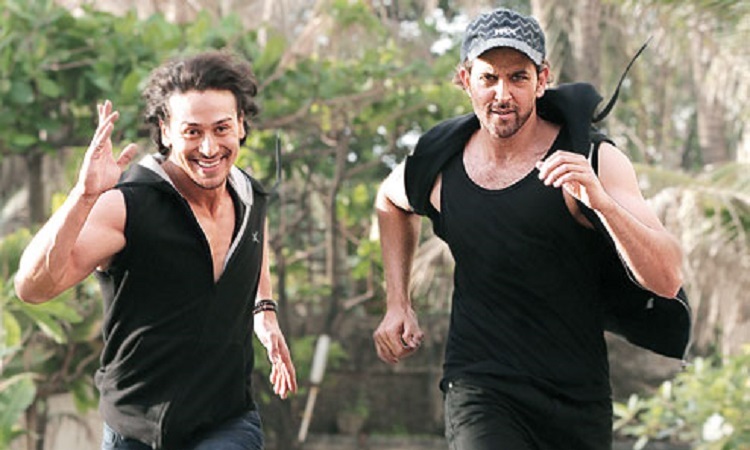 Actor Tiger Shroff has praised actor Hrithik Roshan, whom he will be seen sharing screen space within an upcoming actioner and said that he is looking even better and younger now than he did in his debut film "Kaho Na Pyaar Hai", which released almost two decades ago. Tiger, 28, a huge admirer of Hrithik, will collaborate with the 45-year-old actor for the first time in a yet-untitled Yash Raj Films' production. Asked Tiger if the audience would get to see a dance-off between the two in the film, Tiger said: "I think that's what the audience is expecting and we are going to give exactly that to them and we are we are going to give a lot more so, audience can expect the best." The "Baaghi" star said that Hrithik is in his top form. "Hrithik sir is coming in top form. I have seen him train day and night, I have seen him work hard on a set and I have seen his work ethic so, I think, if he is not the same as he was in 'Kaho Na Pyaar Hai', he must be even better and younger looking now," he said while interacting at the launch of Ganesh Acharya Dance Academy (GADA) along with choreographer Ganesh Acharya. Tiger, who is the son of actor Jackie Shroff, says he would like to see the remake of "Parinda" being made because that is my favorite film of his father. "It was one of the best roles in his career. I don't think I will be ready to be part of it because I can't match up to my father but if that film is being remade, I would love to watch it," he said. Asked Tiger his family's plans to celebrate birthday of his father, he said: "My father has a farm in Pune so, he likes to go farming and he just like to go and sit in his farms so, I think we will go over there and have lunch or something and come back."